HEARTSCENT has been in the works for many years. Working as a chemist during the 1970s I developed sensitivities to the most common chemicals. I found it difficult to sit in the same room with someone that wore perfume. Prescription and even over the counter medications had too many consequences for me . There weren’t a lot of natural options for everyday concerns. 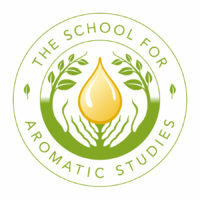 Even though I love making body care products, I am passionate about blending essential oils for better health. I have always had a very good sense of smell and loved chemistry, but I never imagined I would be such a natural at developing blends that are beneficial for so many concerns. I don’t know why I am so surprised. I think it runs in the family. My great-aunt Kate provided doctoring for Native Americans in the Boundary Waters area in the late 1890s. It has only taken me 40 years to find my calling. Sandra received her AAS in Veterinary Technology from University of MN – Waseca. After working in Veterinary medicine for a number of years she received a BA from Mankato State University in Biology and Chemistry. She worked in Public Health as a Minnesota State Environmental Health Specialist/Registered Sanitarian (REHS/RS) for 21 years. During this time she also started MAK-BEA Laboratory, an independent food testing laboratory that provided microbial testing for food processors and supermarkets across the United States. She participated in numerous FDA Collaborative Studies verifying the reliability of many rapid testing methods including: Listeria, Salmonella and E.coli 0157:H7. Wrapping up her professional career she held the position of Director of Food Safety for Tastefully Simple. Her role included inspection of vendor facilities for FDA Compliance in the US and in Canada. 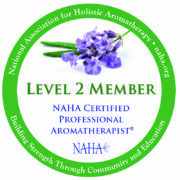 Finally, Sandra has always had an interest in the technical and creative aspects of aromatherapy and completed the Aromatherapy Certification and the Advanced Graduate Degree through Aromahead Institute, giving her the title of CLINICAL AROMATHERAPIST.